LTL, less than load, is a freight shipping method that transports relatively small freight. 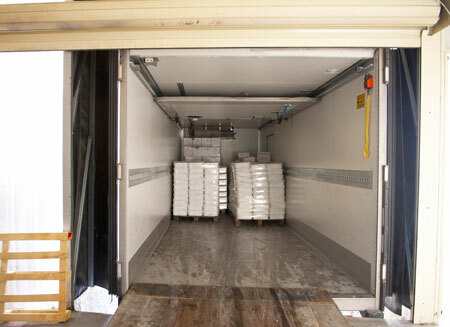 It is primarily used when freight doesn’t require the use of an entire trailer to be transported. It can be used to transport freight when it weighs between 150 and 15,000 pounds. But why use LTL to move your small packages? Well, it carries a number of benefits. There is an increase of security when using LTL. LTL shipments are packaged onto pallets before shipments. These pallets help keep the packages more secure than orders that use smaller handling units. Using LTL gives additional service options. If you prefer to use inside pickup then that is available to you, as well as, other features. Tracking packages also gives a sense of security. LTL also allows packages to be tracked via shipment reference number, PRO number, bill of lading number, PO number, pick up date range, etc. Lastly, LTL is more cost effective than other alternatives. When using LTL you pay only for the portion of the trailer used. The rest of the trailer is covered by the other “tenants.” All that said, LTL can be optimized even further. XPO Logistics is the second largest LTL provider in North America. They plan to add $100 million in incremental profit over the next two years. This is due to their LTL 2.0 optimization plan. It aims to add four key points to their LTL “core” to make these changes happen. All of these optimizations lie in the realm of technology. Linehaul Bypass Model: XPO is developing algorithms that assemble truckloads dedicated to direct movement of LTL freight. The BPM improves the efficiency of LTL transport vehicles by reducing the amount of stops to a single location. Load-Building through Artificial Intelligence: Artificial Intelligence is being used to completely optimize how trailers are being loaded. Pallets will be put in the trailers with the best route for them, as well as, loading the pallets in the best order to load them out. Dynamic Route Optimization for Pickup and Delivery: The same, previously mentioned, AI will also be used to plan their delivery and pickup routes. More pickup and deliveries will be possible per hour. It will determine the best routes to use on the fly by which areas have more traffic than others. Pricing Algorithms: The algorithms being developed for the final part of XPO’s optimization plan are meant to predict LTL price elasticity. Future market conditions will be predicted based on real-time supply and demand and historical data. This gives responses to customer RFPs. There’s already reason to believe that these changes are successful. XPO already launched the first phase of their Linehaul Bypass Model. “This creates truckloads dedicated to direct freight shipments,” said Scott Malat, XPO’s outgoing chief strategy officer. “Instead of having the truck, stop at multiple service centers. So far, this change has shown an approximate 2.4% increase indirect loads.” LTL optimization is important, and these changes highlight why that’s the case.